For me, jazz is the language of life – expressions of friendship and all classes of people. It’s what keeps me looking for more. The sounds of Herbie Hancock, Michael Brecker, Nathan East, Melvin Davis, Simon Phillips, Jack Dejohnette, Pat Metheny are always going to be artists at the top of my list for their modern way of playing. Jazz music in all of its forms is attractive in many ways. The music we hear everywhere, on the radio and TV stations, while we’re driving for instance, has jazz roots and certainly jazz is becoming a big part of our everyday lives as it grows in popularity in Stip. When the Music Academy started working in Stip, jazz became more and more popular, and the Academy itself began producing great artists. 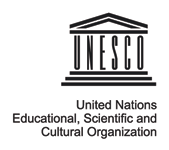 Teachers such as Goce Micanov (saxophone), Toni Kitanovski (guitar), Alek Sekuluvski (drums) are all contributing to the high level where jazz is now. 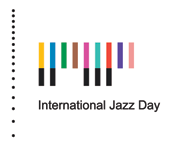 This is the third time we are going to celebrate International Jazz Day. We organize many jazz events throughout the year, and this day has the top of the line performance. We do it because we are on the wave of modern society, it keeps our spirits high, and most importantly, we present jazz music and it’s meaning to young people in this region. 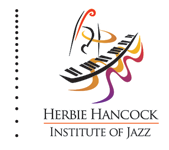 The event has grown from year to year, and this time we are going to do the biggest jazz event so far in Stip. We are set to deliver a great time for visitors with workshops, jazz literature readings and a cocktail party with very popular jazz musicians from Macedonia. It will be a great time with great musicians who perform at this event. We grow together, and it’s very satisfying to know that we provide happiness and friendship. We are looking forward to this day and we hope we can outdo ourselves in this year’s event.